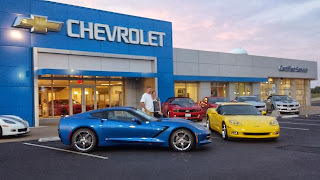 We are proud to serve the Peoria area Chevrolet community each and every day with great deals for our great customers. We’ve collected some of our recent customers smiling from ear to ear with their new Chevy from Uftring Chevy in Washington! These are real Central Illinois people finding the perfect car for their budget and their needs. 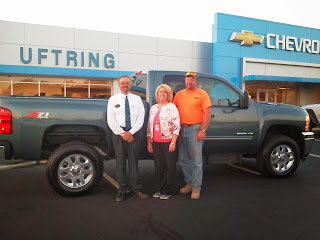 Uftring Chevrolet—real people, real prices. 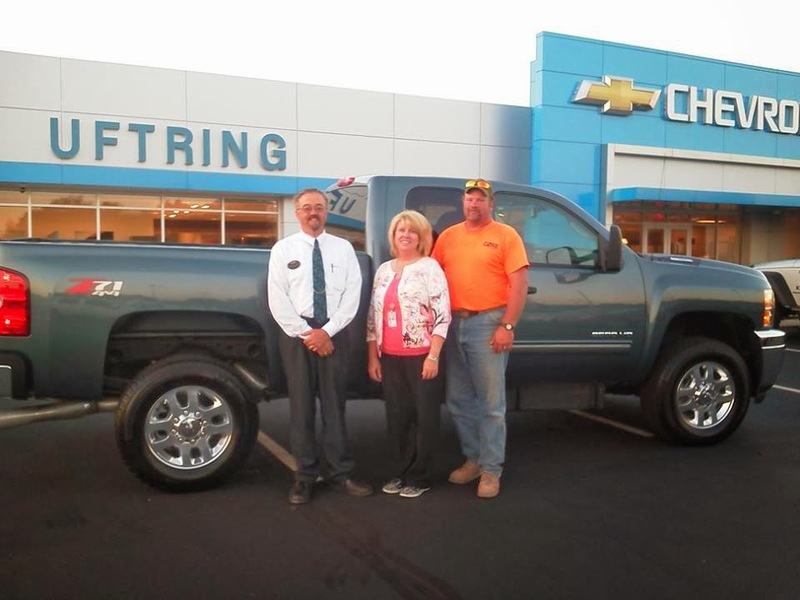 Here’s Lindell and Nancy Jewell with their brand new Chevy K2500 Diesel from Randy MacDonald! Congratulations to the Jewells! Mike and Jen Varney from Oak Forrest, Illinois recently drove off our lot with their brand new 2014 Laguna Blue Chevrolet Corvette. Mike says “out with the old and in with the new!” with his 2007 Corvette in the background. 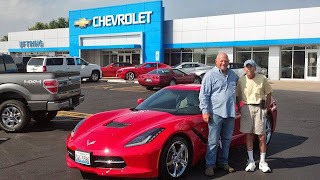 Mike is a repeat customer of Uftring Chevy and has been waiting for his new Vette for a while! Congratulations Mike and Jen! 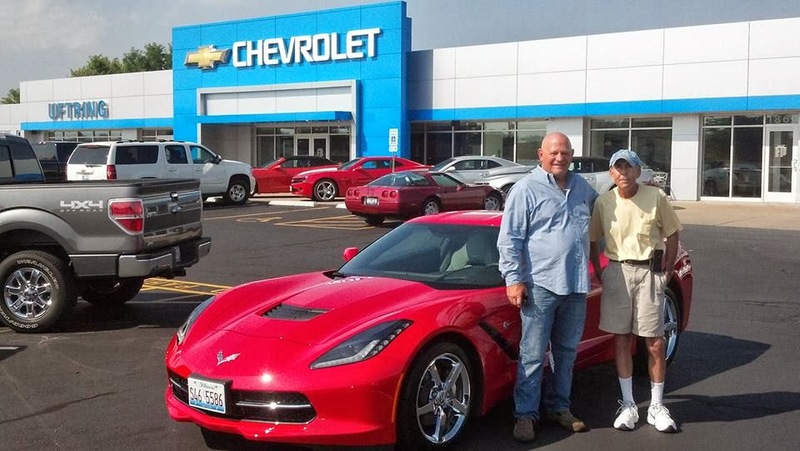 Rick Roszell of East Peoria just bought this brand new 2014 Corvette! Uftring’s Ollie Troyer had the pleasure of working with Rick, and even came in on his day off to give Rick his keys! We’re not sure who’s glowing more, Rick or the Vette! 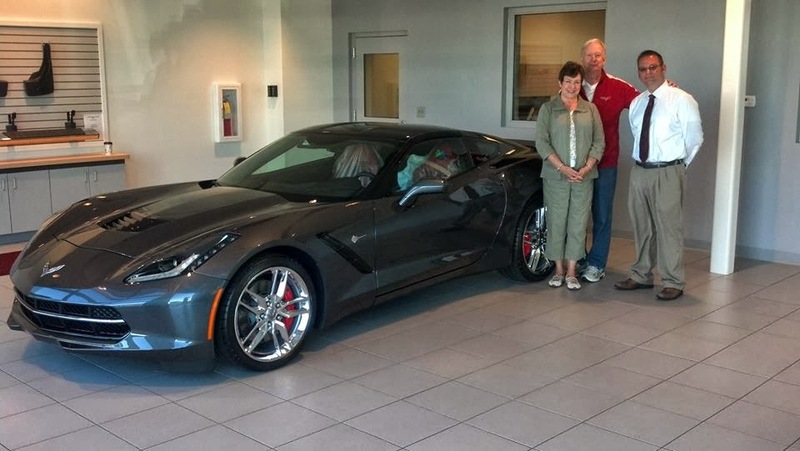 Mr. & Mrs. Duane Barlow, originally from the Peoria area, drove home in a new 2014 Corvette Stingray—the Barlow’s were our very first 2014 Stingray customers! Currently residing in Pinehurst, North Carolina, we’d like to send another congratulations their way—not a bad lookin’ car! 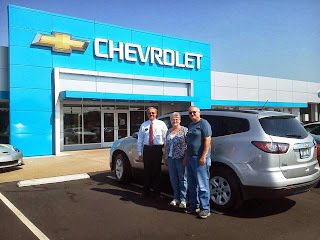 Jerry and Julia Fellers recently purchased their 2013 Chevy Traverse at Uftring Washington! This SUV is perfect for the Fellers and those smiles on their faces show it! Congrats to Jerry and Julia, enjoy your new ride! Click here to view our complete Chevy inventory at Uftring Chevrolet in Washington, IL.